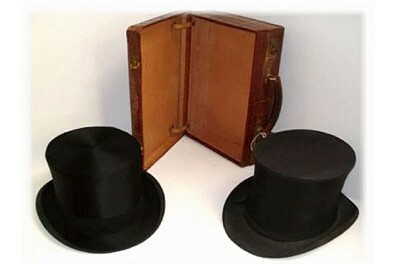 Bonhams Arts & Antiques auction will feature a collection of men’s vintage hats. One lot includes a vintage crocodile attaché case and a black silk top hat by R W Forsyth and stamped ‘Christys’ London’, plus a folding opera hat. 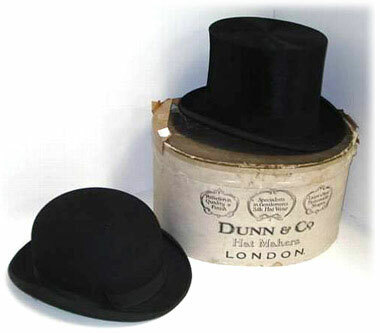 Another lot includes a black silk top hat by Dunn & Co with its original cardboard box, and a bowler hat by Gieves. The auction will be held on 29 Jun 2011 in Oxford, England.